It’s all very good having a beautifully printed magazine and an extensive archive and a blog. But it’s come to our notice that sometimes the readers of one have fairly vague ideas about the others. So, for the benefit of online readers who might wonder what Eye magazine is, here is an Issuu-powered glimpse of what you can read and look at and enjoy in the current issue, our first ever photography special. 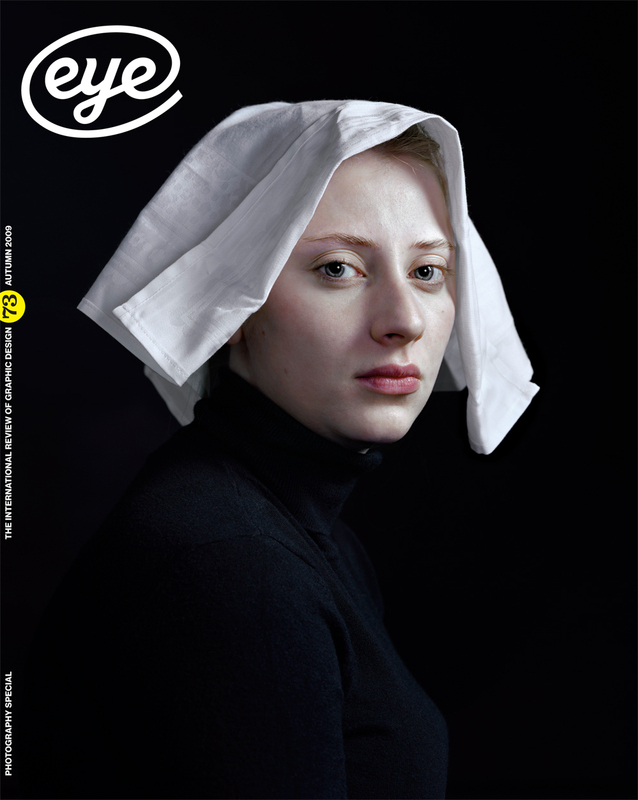 The Issuu version shows the Eye 73 cover (with Napkin, a Hendrik Kerstens portrait of his daughter), which Ilovetypography kindly Tweeted as being ‘perfect’. This is followed by the opening spreads from several articles: Rick Poynor’s must-read article about the state of magazine art direction; Fred Duarte’s archive piece about Pan Am posters; Liz Danzico’s Reputations interview with The New York Times Magazine photo editor Kathy Ryan; and ‘Art and art direction’, a multi-author feature about the use of photography by creative individuals including Thomas Lenthal and Daniel Eatock. At the end of the Issuu file you can read the opening page of our sixteen-page Uncoated section, a preview of Studio Culture, the best-selling book from Unit Editions, a new publishing house formed by Tony Brook and regular Eye contributor Adrian Shaughnessy. At the end there’s an address for the Eye shop – www.eyemagazine.com/shop – where you can go and buy a single issue, a back issue or a subscription to Eye. Go on, treat yourself.